Tunisia’s cash-strapped government has agreed to raise public sector salaries after a months-long dispute with the country’s biggest labour union. A deal signed on Thursday between Prime Minister Youssef Chahed and the head of the General Union of Tunisian Workers (UGTT), Nourredine Taboubi, will see government workers receive increases of up to $55 (Dh200) a month, the union said. ‘The deal is a victory for Tunisia, it will help create a good social climate,’ Mr Taboubi said after the signing ceremony in the capital Tunis. The UGTT had threatened to call another nationwide strike on February 20 and 21 if the government did not give pay rises to about 670,000 state employees. A day-long strike on January 17 paralysed the country, affecting rail, bus and air transport, and ports, schools and hospitals. It was not clear if Thursday’s deal included teachers, who have boycotted exams for nearly two months to demand better pay and benefits and staged a large rally in Tunis on Wednesday. The teachers’ strike has raised the prospect of hundreds of thousands of students losing an academic year, prompting angry parents to stage their own protests against their children being held hostage by the dispute. Taoufik Rajhi, Tunisia’s minister for economic reforms, said the government had ‘bought social peace’ with the deal signed on Thursday. 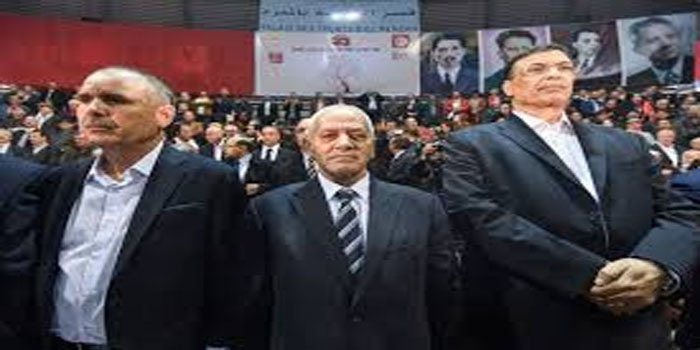 The pay rise runs counter to the government’s intention to reduce its wage bill as part of an effort to revive the economy, which has been in crisis since the overthrow of long-time dictator Zine El Abedine Ben Ali in 2011. Tunisians are struggling with high levels of unemployment and inflation. Political turmoil and a failure to implement reforms since 2011 have deterred investment needed to create jobs, forcing the government to implement austerity measures in return for loans totalling about $2.8 billion from the International Monetary Fund. The IMF had wanted Tunisia to freeze public-sector wages, which amounted to about $5.5 billion in 2018, and reduce the burden from about 15.5 per cent of GDP currently to 12.5 per cent next year.